The month of February is a great time for most visitors to spend a wonderful vacation in Branson as they can have the opportunity to be the first to enjoy new sets of shows in Branson. February maybe a little busier than January, but Branson is still relatively quiet with fewer crowds to move through and visitors can have easy accessibility to many of the shows around town. As a popular vacation destination for the love month, Branson has some great things that can give your loved one an unforgettable romantic getaway set against the backdrop of the Ozark Mountains. Whether you come to Branson to enjoy shows or take in some shopping and excellent dining, there are many options to choose from when planning what you want to do when you visit Branson in February. In the middle of February, you will see a notable uptick in the number of shows available to see during the week of Valentine’s Day. Some of the new sets of shows in Branson that you can enjoy this season include New Jersey Nights, Take it to The Limit: A Tribute to The Eagles, and Lynyrd Skynyrd Tribute Featuring Suthyrn Fryd Frynds. 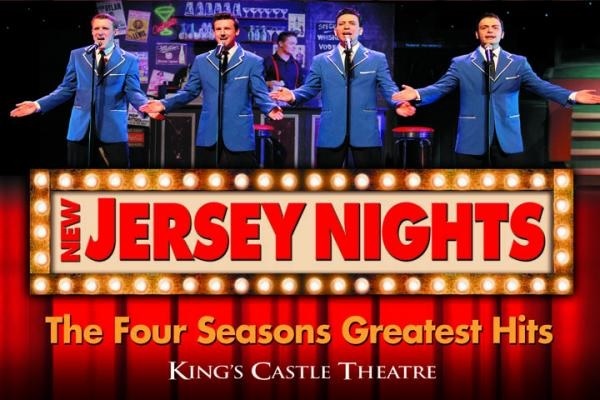 Filled with music, singing, dancing, and comedy, the New Jersey Nights show in Branson that you can enjoy in February is a Broadway-style production that pays tribute to Frankie Valli and the Four Seasons in a show that has been proven to be one of the most popular and fastest-growing ever released by the producer. As one of the most successful groups of all time, this unique show in Branson chronicles the boys from New Jersey as they make their way through the world. Take it to the Limit: A Tribute to the Eagles is another great show in Branson from February 1 to 27, 2017. This popular show features all the favorite hits from the Eagles, performed by some of the top singers and musicians in the industry. The tribute band that play the greatest hits of the Eagles is made up of incredible performers that include the vocalists such as Brennan Crim, Robbie Danna, Larry Holiday, Eric Rankin and Greg Morton. Lynyrd Skynyrd Tribute Featuring Suthyrn Fryd Frynds is another entertaining show in Branson to watch from February 11 to 25, 2017. Famous for the hits ‘Sweet Home Alabama,’ and ‘Freebird,’ Lynyrd Skynyrd paved the way for the kind of music known as Southern rock. With bluesy tunes and a country twang, the tribute band blended together soulful vocals with the upbeat vibe of the era of rock ‘n roll. Suthrn Fryd Frynds gives audience a fascinating and nearly authentic experience that is sure to delight everyone, so do not miss out on this once-in-a-lifetime opportunity to see this tribute show live. So, if you want to spend a wonderful vacation with your loved one, make it in the month of February as you will be the first to see new sets of shows in Branson this season.